Most of us will be aware of the phenomenon that is Game of Thrones with the iron throne and dragons, it truly is a fantasy feast to the eyes. 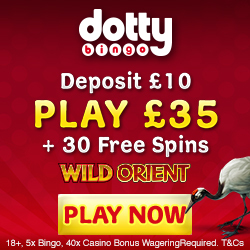 Well how about if we at Mobile Bingo Bonuses told you that this amazing programme has now become a slot game? 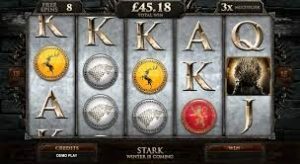 Microgaming the team behind impressive blockbuster movie slots such as Jurassic Park, Terminator 2 and The Dark Knight Rises, have released the Game of Thrones Slots and we’re going to tell you all about it. What is Game of Thrones Slots? 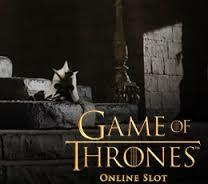 When it comes to the statistical breakdown, Game of Thrones Slots is a 5 reel, 243 pay line non progressive video slot machine, which comes with a wild symbol, scatter symbol, multiplier, bonus game, spins and more. Plus with an RTP (return to player) of 95% you’ll not only be entertained but will also hopefully win a jackpot or two. As with the other Microgaming slots, they incorporate real video footage from the series to indicate game features. You can also play multiple bonus games, featuring recognisable symbols such as the house flags and the iron throne. So we bet you’re wondering where you can find this great slot game, well that’s easy on a site called Dazzle Casino. 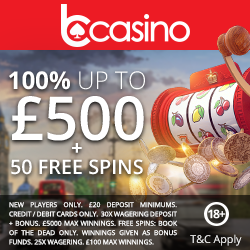 Dazzle offer an impressive welcome bonus of £200 deposit boost plus a massive 100 spins on Starburst Slots, where one spin can win you 50,000 coins. Plus for those gamers on the go, you can access this slot on you smart phone and tablet devices including Android, iPhone, Hudl and iPads. We’re sure you’re ready to get playing, which you can do simply by heading to Dazzle Casino and we’ll take you through to their page to register.